You will be surrounded by the sun and the sea on our peaceful beach. Everything you expect from a tropical island vacation is here! Lawana Resort is small and unique with only 40 bungalows. Enjoy the tropical plants and our antique garden sculptures right by the deep blue South China sea. Lawana Resort is ideal for singles, couples and families. Each room is painted in different colors and decorated with Thai antiques from the owner’s the collection. Every has its own character. Feel relaxed and unhurried in friendliness of Lawana. Lawana Resort is located on Bophut Beach. The most charming beach of Samui, with a local fishing village only 700 meters away. Pick your favorite color and enjoy! 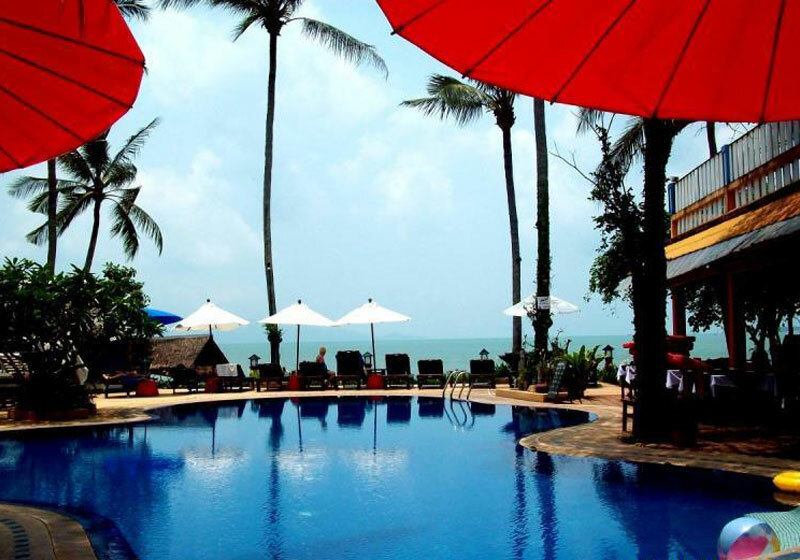 Short Description: Lawana Resort is located on Bophut Beach. The most charming beach of Samui, with a local fishing village only 700 meters away. Pick your favorite color and enjoy!